Is royalty free music really free? What does creative common licence actually mean? Let me explain there is a term called creative common in short this means you can use somebody else's work if you don't change it in ANYWAY. If you include a music track in a video for instance that constitutes changing the track/music, its that simple. So lets say you got to soundcloud and find a relatively unknown song under the creative common licence agreement and use it in your video, you upload the video to youtube and everything is hunky dory. Then all of a sudden 12 months later out of the blue you receive a copyright claim from youtube. Music marketing companies are the same companies who are offering paid for music are looking for these artists and they find them sooner or later, sign them up to an exclusive deal that money-torises all there content. This morning 14th January 2019 we received this message from Instagram. "We received your appeal and re-posted the video you originally shared at 12:26 on August 20, 2016." 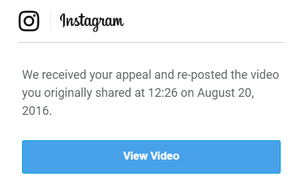 I appealed a decision Instagram made to remove a video I created at Africaburn in 2016, a rights claim came through form Instagram for the Music used in the video in late 2018. I shot that video and the the DJ playing the music had the rights to use it, and i didn't edit it in anyway. Sometime its worth putting in a rights claim, if you are 100% sure your right. And on top of that there are Right Management Agencies who are trying to sign the same artists to do income shares. Meaning the same song you found 12 months ago falls under that NEW licencing agreement. Not to mention bogus people trying to claim the same music as theirs only to steal your income. (that's another long story for another day). All this is making the water very murky indeed. One of a few things can happen when you change it from its original usage by adding it to a video. Technically the video is now deemed "for commercial use" because you can derive an income from your video on youtube. Because the music is now in the video the creative common rule no longer applies. Or all the income from the video goes to the music company, who in turn pays a royalty to the artist. If you find something you like on soundcloud reach out to the artist and get permission to use it in your video. You can only really do this if you are doing it for non commercial gain. If you are planning to use it for a client or a commercial then you need to come to some to an agreement on how the artist is going to get paid. Simply put the music artist is an artist like you, and should get paid for there skill, you wouldn't like it if someone downloaded your videos and re uploaded them to YouTube for commercial gain without your permission. Treat fellow artists the way you would like to be treated. We learnt the hard way on multiple occasion, but only a long time after we had made the video. The video above copyright claim only came about 12 months after we made it. Our personally take is that the artist gains great exposure from having there music in a video, but you must ask them first or pay the consequences of your actions. Let's get one thing straight. You wouldn't walk into a store and steal stuff. So let's not do it online either! Piracy of peoples work has been, and still is for the most part, a massive problem that no one seems to take too seriously online. 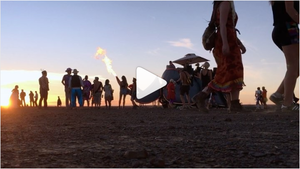 None of us want our property ripped off, so what do we video-makers do for good free music? It's a pretty common perception that royalty free music is terrible. This was true for many years, but things are changing in the digital age of instant-information. Easy to use software is not only turning all of you into budding film-makers, but also into brilliant music composers. A year ago (2016) we struggled to find good quality free music. This year there is more than you can handle on YouTube alone. Lets get into the first topic. 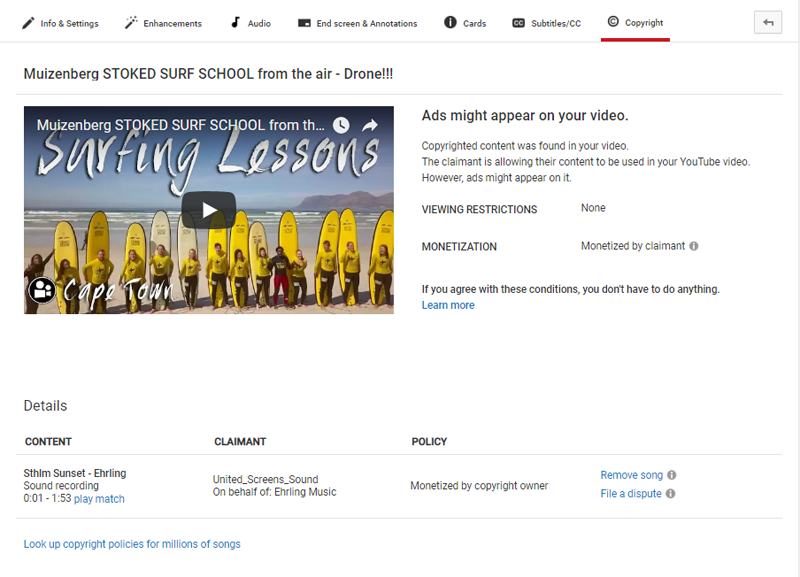 This is an example where we traded a video about the band for the right to use one of their tracks. As much as you want people to watch your videos, there are people who want their music heard too. Each city, town, village, district & neighbourhood around the globe has a band or home producer like this waiting for you to help them, help you, help them. Go down to your local pub with a stage & listen to whats available. If you hear something you like, speak to them after the show. Ask if you can maybe use their music in one of your videos. Tell them that you will credit them and give a link in the description below so that they can follow or buy their music. Make sure to get their written permission as they may become famous and the rights are bought by a big label and your song might get pulled. This document can exempt you from being blocked. (this has actually happened to us on THIS VIDEO). "Ah man that Lady Gaga song would just be perfect for my video!" We have found ourselves in this position a few times. YouTube has a great tool in the Creator Studio where you can look at the Music Policies of commercial music tracks. This allows you to see what is and what is not allowed when you use other peoples music. 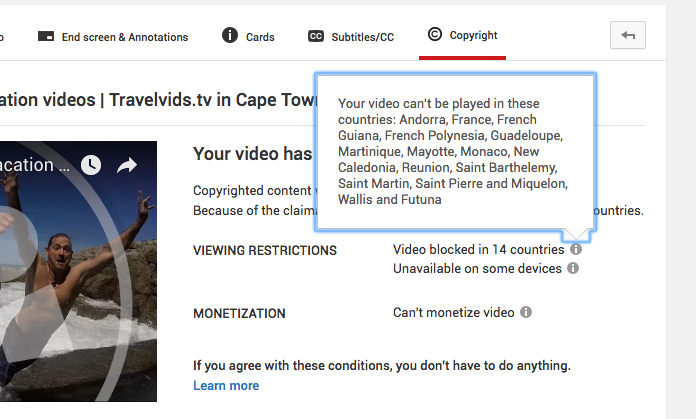 Most times the policy will say "you can use this track worldwide", however the artist will place an add on your video which can only be monetized by them. Unless you are planning on making money directly from YouTube, this shouldn't matter to you. (If you dont know what any of this means, you even better off! keep reading). Lady Gaga – ‘Just Dance’ is viewable Worldwide without restrictions. In YouTube, open the Creator Studio (Click Profile Icon on Top Right-Hand Corner, then first big button with text Creator Studio). The page that opens has a menu on the left with a tab called CREATE at the bottom. The second option will take you to Music Policies where you can search for music. This is what it looks like. Some tracks are blocked on certain devices & others only in some countries. Always look this up before you use a track that belongs to someone else. Also remember these rules are subject to change at any time and there is nothing you can do about it. This is the most common way we find FREE music. There are more and more channels popping up providing free music to people like you & me. YouTube host an array of these channels like: Audio Library – No Copyright Music or Argofox | Royalty Free Music and some options on SoundCloud but be careful of the so called FREE Travel Video music on SoundCloud because it can sometime become paid for in the future, so check with the artist if its going to be FREE for life, and maybe get it in writing from the artist. You can download the tracks from these channels and use them in your videos. Make sure to read the description of the video to see what the creator wants you to do in terms of credit. Just because it’s free doesn’t mean you shouldn’t at least credit them in the description of your own video. This is the more old school traditional way to do it. There are millions of music tracks out there across 100’s of music libraries. Sometimes a single songs can cost $25 & other times you can buy 200 songs for the same amount of cash. This is really a matter of digging and scratching around on the internet, we have used 4 of the 6 listed below. Finding good Music for you videos, should not be your biggest concern anymore. So you shouldn't have any problems finding the best background music for travel video. If you are interested in seeing how we use, music for vacation video montage & travel videos then check us out on YouTube.